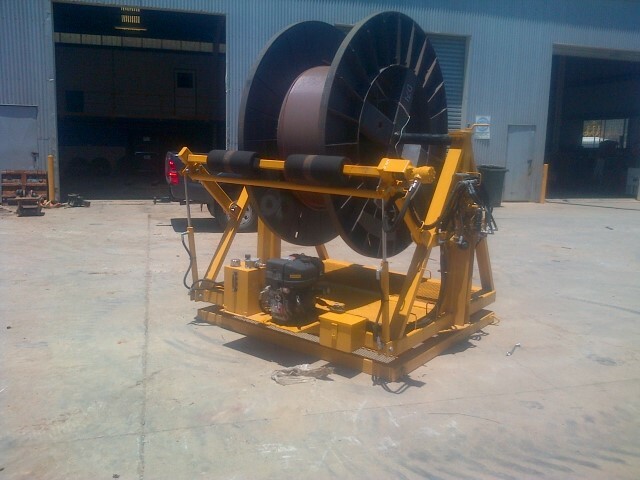 These powered cable drum carriers can collect redundant cable and distribute new cable by using a hand held remote control pad. The drums have 7 ton capacity and can handle drums from 900mm up to 2400mm diameter. The operator is positioned on the ground away from the trailer and drum so the operator is not at risk of falling off the drum carrier whilst it is moving/ travelling.